North Carolina’s [Confederate] Supreme Court | Clark D. Tew, Esq. I use Lexis Advance, a product of LexisNexis that simplifies the traditional search process, and provides for free searching (as opposed to the fee-per-search model typically used in the business). I’m not being paid to shill for Lexis, but I’ll say (in the manner of a review) that I love Lexis Advance, just for my ability to get out and explore the width and breadth of case law and statutory resources out there without fear of racking up a $750 search bill (confession: I have done that before, at $250 per search). This tool is invaluable for internet legal history research, namely in that it allows you to narrow by year range very easily. Between May 20, 1861 and April 26, 1865, the Supreme Court of North Carolina issued 199 opinions. Most of them have a Lexis-specific symbol beside their names showing that Lexis, at least, thinks that they are generally still “good law”, and could be used as precedent in a North Carolina case. Some quick background: after secession, the Confederate government generally did an incomplete job of building a judicial system. The Supreme Court called for in the Confederate Constitution’s Article III was never constituted, leaving much of the legal heavy lifting to the individual states’ Supreme Courts. This, as was argued by Charles George in a 1920 article in the Virginia Law Register was likely because the Confederacy was formed in the ideal of a truly decentralized system; under the prior system, staunch secessionists criticized what they saw as the overweening and overbearing nature of the Supreme Court of the United States in determining issues they saw as best left to the states. As George notes, the states only grew in their fervor for “local control” as the Civil War went on, thus exacerbating this issue. As Alfred L. Brophy demonstrated in a 2000 Mississippi Law Review article, this fervor was underpinned by a philosophy expounded most publicly by John C. Calhoun (in a committee report concerning the legality of state laws banning abolitionist literature from entering their state) that “no state had surrendered its most basic right – the ability to protect itself against external danger” (Brophy, p. 1138). A more full treatment of the Confederate legal system can be found in UVA Law Prof G. Edward White’s 2011 Washington & Lee Law Review article, “Recovering the Legal History of the Confederacy”. For a more full-length review, you’ll have to shell out some serious cash for William M. Robinson’s Justice in Grey or Don E. Fehrenbacher’s Constitutions and Constitutionalism in the Slaveholding South – both of which I highly recommend. Turning to some North Carolina cases, there are a few that strike me as interesting right from the outset. The first is In re SOWERS, 60 N.C. 459, 1 Win 459 (N.C. 1864), which deals with the subject most frequently explored in that era – the Confederate States’ conscription laws. By 1862, the CSA had such laws in place, and through the war years they became broader and more onerous. In Sowers, Chief Justice Richmond M. Pearson (who presided as such before and after the War – and was the founder of the Richmond Hill Law School in Yadkin County) was tasked with determining whether a soldier on active duty could later become exempt from the Confederate conscription laws under a specific clause of an 1863 act of the Confederate Congress exempting mail carriers. Jesse Sowers had, while in the Confederate Army, applied for and received a commission from the Confederate Post Service to carry mail between Thomasville and Shady Grove (in Davie County), a route of some 14 miles. Pearson held, in interpreting the Confederate Congress’ language, that an active soldier could indeed qualify for such an exemption. Sowers, who had been arrested for desertion by a military agent (who possibly was paid some sort of bounty for his collars), was set free by Pearson’s order, and allowed to continue delivering mail. Another, more interesting set of cases, requiring perhaps a full post on their own, involve direct challenges to the Conscription Acts. The paired cases of Pearson ex parte Walton, 60 N.C. 425, 1 Win. 425, and Gatlin v. Walton, 60 N.C. 333, 1 Win. 333 (N.C., 1864) deal with one Edward S. Walton, who had, in the early stages of the war, purchased a “substitute” for military service, so that he himself would not be required to serve. Later, however, he was conscripted, but he sought a writ of habeas corpus from Chief Justice Pearson, sitting in a session at Salisbury, allowing him to be free from military service. In Ex parte Walton, Pearson orders that Walton be released from custody. In so ordering, Pearson effectively nullifies an act of the Confederate Congress, at least to the extent that such act would violate Walton’s “vested rights”. Reasoning that the allowance of substitutions for service constituted a contract between the CSA and Walton, Pearson reasons that Walton’s rights under that contract can’t be unilaterally usurped by the central government. This ruling would have likely been received with mixed results, as conscription was naturally unpopular, but so was the practice of substitution (at least, it was unpopular with those who couldn’t afford substitutes). The full Supreme Court, in Gatlin v. Walton, however, overturned the Chief Justice’s grant of habeas corpus (something not too uncommon, even with the Supreme Court of the United States, where individual justices can issue temporary orders staying, for instance, executions, or the effects of certain laws). William Horn Battle, in the opinion for the Court, holds essentially that, under exigent circumstances, at least, the government has a right, implied in contracts, to unilaterally breach such contracts, or to destroy contractual rights granted to the other party. This result was congruous with results from at least five other states’ supreme courts, which universally upheld the Confederate Congress’ conscription scheme. See also Walton v. Gatlin, 60 N.C. 318, 1 Win. 318 (1864), which deals with the procedural question of whether or not Pearson’s initial decision exempting Walton was appealable; interestingly enough, one of the majority justices in the later opinion actually held that Pearson’s earlier ruling was not appealable. Sowers, the first case I discussed, has been cited once – as persuasive precedent – in an Arkansas case, Sulcer v. Northwestern Nat’l Insurance Co., 263 Ark. 583 (1978). 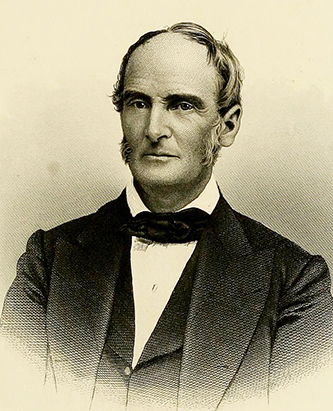 Gatlin v. Walton, however, has been cited at least three times since the Civil War. Two instances are cases involving draft questions during the First World War — Selective Draft Law Cases, 425 U.S. 366 (Supreme Court, 1918), and Angelus v. Sullivan, 246 F. 54 (2d Cir., 1917). One instance, in State v. Miller, concerns a jurisdiction question similar to that posed in Walton v. Gatlin. Walton v. Gatlin, the procedural case, is the most-cited, with a full four citations in North Carolina cases, and one in a Kansas case, as late as In re Ogden, 211 N.C. 100, 189 S.E. 119, from the North Carolina Supreme Court in 1937. So, the challenge I’m going to pose to myself: find a way to work a Confederate-era North Carolina Supreme Court case into my next brief, and see if anyone even notices. I’ll update with the results, when I’m able.